Dale and I are out on the West Coast this week doing some interviews, workshops, and meetings in Corner Brook, Pasadena, Reidville, and Deer Lake. 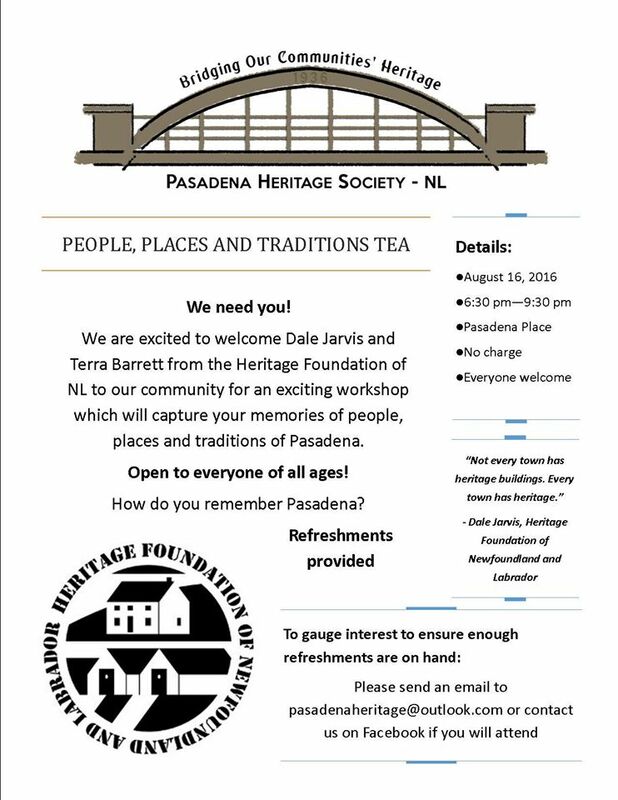 We are hosting a couple of People, Places and Traditions Workshops and invite everyone in the area to come out and talk about your community. Tonight we will be in Pasadena from 6:30-9:30pm at Pasadena Hall and tomorrow afternoon we will be in Reidville in the Community Hall from 1:30-4:30pm. Drop by, have a cup of tea, and share some memories of your community!